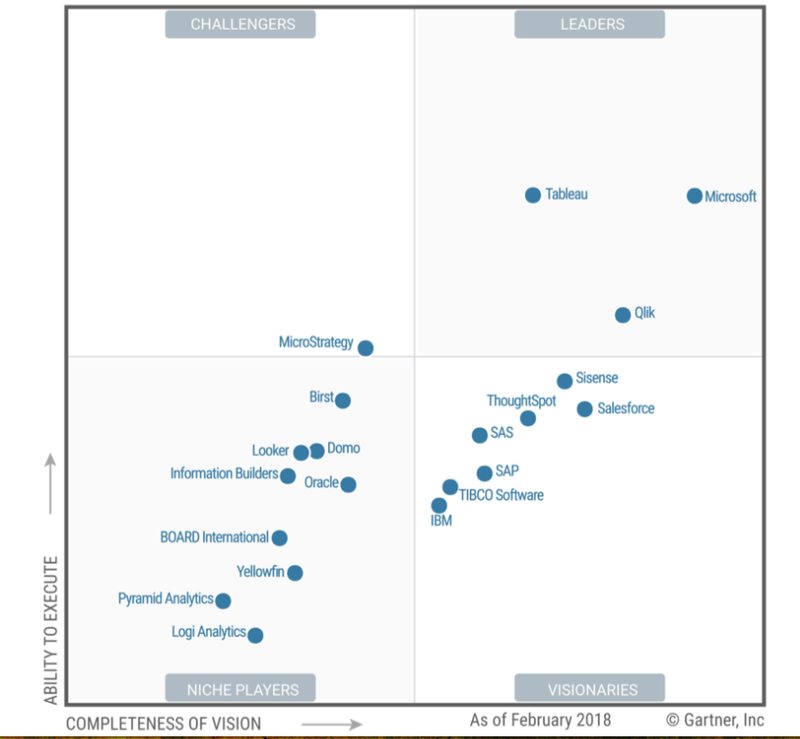 Every year, many of you reach out to thank us for our analysis of Gartner's famous Magic Quadrant for Business Intelligence. Thank you all for your feedback! This year, we've decided to go one step further: in addition to our written analysis, we will be sharing our perspective as part of our upcoming "BI on The Data Lake Checklist" webinar. The MQ research for BI has been in existence for close to a decade. It is THE document of reference for buyers of Business Intelligence technology. Why should it matter to your organization? 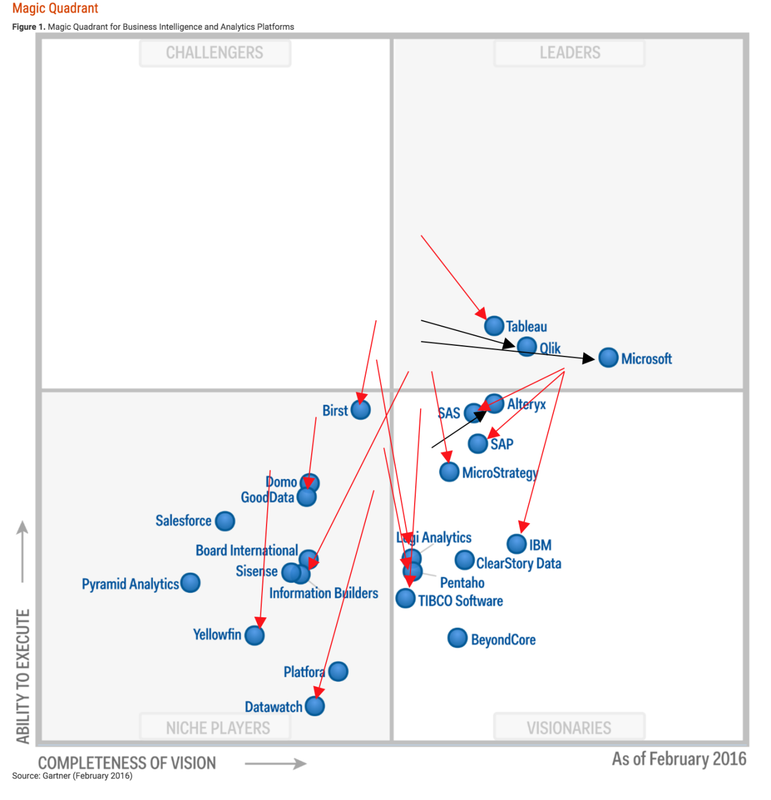 How should you best use Gartner's information? Those will be the questions we will attempt to answer as part of our webinar. Be sure to register here. 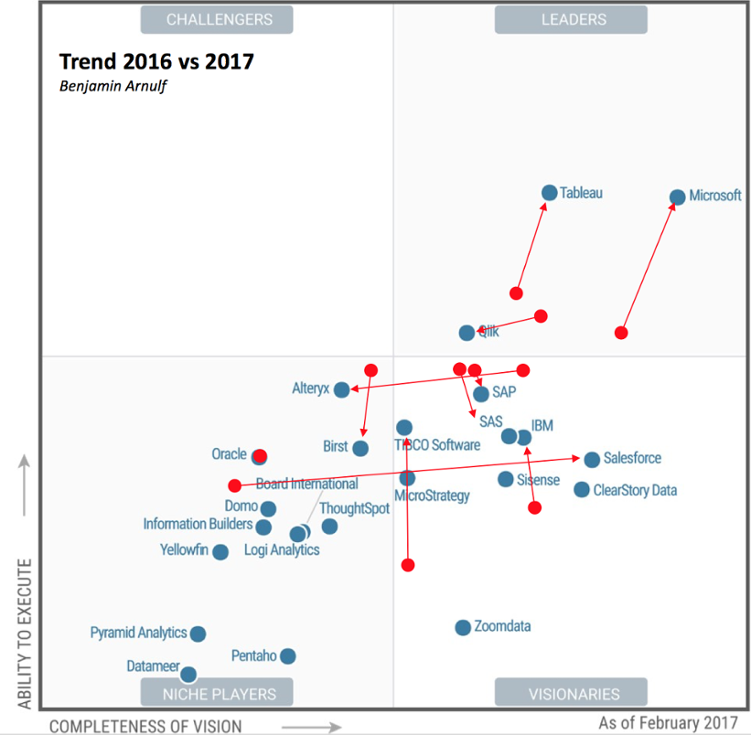 Gartner Magic Quadrant for Business Intelligence (BI) 2017: Microsoft and Tableau took off while Qliktech declined. More here. Gartner Magic Quadrant for Business Intelligence (BI) 2016: Most vendors experienced downgrades, some more than others: Oracle was taken out of the MQ. More here.